In my honest opinion, EVERYBODY who wants to market or sell something online should have a WordPress blog! Business transactions occur on a website – If you’re selling something and taking payment, then a website is what you need. Static content – This simply means that you’re not changing or updating the content, i.e. written articles, pictures, etc., regularly. It’s only used to communicate information about your products or services. Every company has a website for selling products, giving information about the business, and providing a way to contact the business. Business transactions can occur on a blog – A blog will allow you to sell products the same way as a website. Dynamic content – Content on a blog is updated regularly. Used to communicate ideas, beliefs, and build community around a particular subject. You can use a blog to market information about your business the same way a website does but in a more informal way. A website has pages that are static, which are pages that are never updated, and with the web pages on a website vs. a blog we only want to have a page that promotes our business or brand. Websites are a good starting place but they don’t do much for helping people who search for things online at sites like Google or Bing to find your site. Search engines such as Google and Bing have “web crawlers” that scan your website for content and then stores that information on their servers. When I go to search for something specific Google and Bing will display search results for all of the websites on that particular subject. This is one way I can find your website, outside of the use of social media which is another source of web traffic. Websites on the Internet are all purposed to be interconnected so we can find information when we need it. So in today’s digitally connected world, having a website is a must! Especially if you have a business or brand that you want to grow. Where do we start with setting up our WordPress Blog? One of the most popular blogging platforms is WordPress. A WordPress blog is the most powerful publishing platform on the Internet with such websites such as CNN.com and the Huffingpost.com being powered by WordPress blog software. You can read more about WordPress software at www.wordpress.org. The website you are on now is a WordPress blog and it was my platform of choice. It’s easy to setup, very easy to customize as you can make changes to the code as you see fit to create whatever design suits your brand, and it’s fairly easy to manage. It’s also easy to update and it’s built specifically to help your content be found by people that do Google and Bing searches. We call that SEO, or Search Engine Optimization. SEO maximizes your websites ability to rank high on the search pages of Google, Bing, and any other search engine that exists. It also aids in helping your site to get good quality traffic, as well as helping increase the quantity of the RIGHT traffic. If you sell books, it doesn’t make any sense for someone that is searching for forks to be on your site. SEO helps the right people to find your brand. So what do we need to do to get started? Choose a domain name – I chose www.deancantave.com because the intention was to build a brand around myself and what I do. It took quite a while to really think about the strategy around what I wanted to do, but as I researched top bloggers such as Michael Hyatt, Pat Flynn, Tim Ferris, and Jeff Bullas to name a few successful bloggers that I follow, I decided that self-branding was the way to go. Choose a domain name that has marketing value as well as something that is easy to remember, and something that speaks to your brand. You can purchase a domain name from GoDaddy.com although there are a lot of companies where a domain can be bought. Website Hosting – What company are you going to purchase hosting with? You need a location for your website so companies like GoDaddy, Bluehost, and LiquidWeb are perfect places to start. The costs vary but if you’re just starting out, something less than $100 a year may work perfectly. As the amount of traffic increases to your site you will need to increase the bandwidth and resources needed and with that your web hosting costs will go up. Site Design work – Once I purchased my domain I went to work with my developer and designer to begin building the blog. I enlisted the help of a graphic designer to complete my logo, and I contracted a web designer who was very fluent in HTML and CSS, as well as a developer that could custom code the site to my liking. I work with a variety of WordPress developers and designers but you can always outsource and manage a WordPress blog build by yourself by using contractors at sites like UpWork. Here you can find talent to build your site to your liking. Adding other software – Once the site was completed there were several other pieces of software that I needed to add such as a website security software (Wordfence), software for an email list integration and email capture (Pop-up Ally and Mailchimp), and several other pieces of software that were needed for various tasks that I needed to perform on the blog. Wordpress blogs are “open source”. In other words, the software that runs WordPress is open to be developed and tweaked by developers around the Globe. No one person or company holds a license on WordPress. In the software world this allows people to contribute freely to it’s development, which means more eyes and hands on the software. This ensure that a large pool of people have an opportunity to look at the source code of WordPress to ensure its stability and security, and this also means that WordPress is very secure and updated frequently. 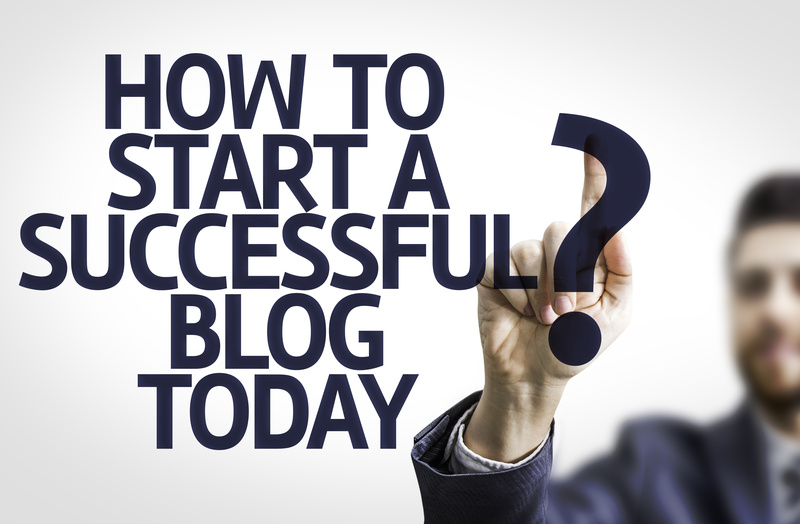 The biggest mistake that most Entrepreneurs make is in thinking that once they setup a blog, that’s is! Setting up and designing a blog is one thing, but the management and maintenance of a blog is something entirely different, and something that most site owners and Entrepreneurs have ZERO clue how to do. One of the biggest challenges you will face in running your WordPress blog is maintaining it’s security. Today, online security is the biggest challenge you will face when running a WordPress blog because of it’s popularity. WordPress hacking attempts and attacks occur everyday, almost every second of the day. Someone is attempting at any given time to try and get into your site to use it for their own purposes, or perhaps to steal data that you may have store on your site. I’ll cover security, maintenance, and much more in my next blog post.